Believe it or not, it is possible to get a quality leg workout without spending countless hours in the gym – if you know how to build a program that emphasizes the best growth-triggering exercises instead of machine-based isolation workouts. For most of us, it’s difficult to plan a leg training routine that falls somewhere in between overtraining and not training hard enough, even though we’ve learned the drill when it comes to training all other body parts. So why is it so hard to get things right on leg day? Well, actually, it isn’t – all you need to do is hit your legs with a decent-intensity workout twice a week. 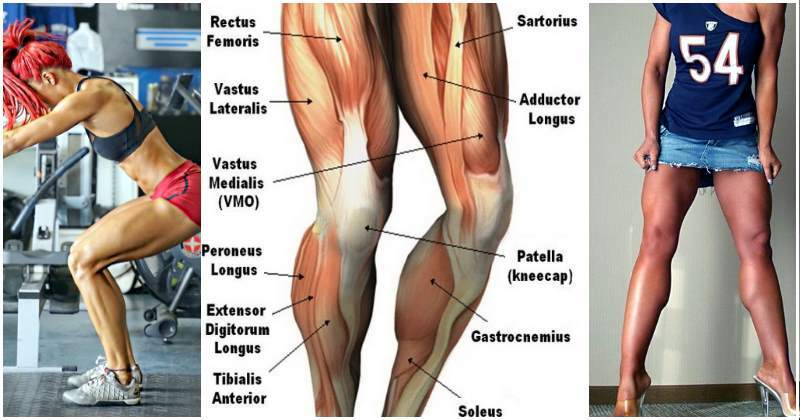 The problem is that half of the guys simply don’t bother with leg development because they’re too focus on their upper body musculature, while the other half get so stressed by thinking that their leg muscles are the most growth-reluctant part of their physique that they consistently overtrain them, thereby making things even worse. 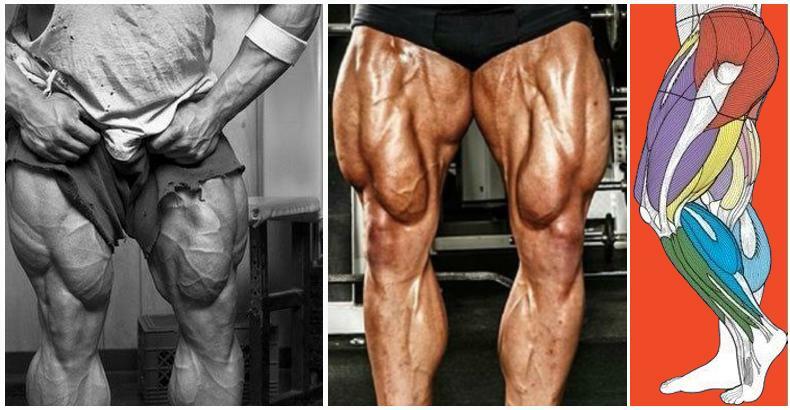 In this article we’ll uncover three critical ways to step up your leg game, followed by a superior two-part leg routine that will help you start making gains like a pro. A solid leg routine has to emphasize multi-joint movements such as squats, lunges, step-ups, leg presses and deadlifts. In addition to recruiting more muscle fibers, multi-joint moves help increase the production of anabolic hormones, so if you want to build some serious mass, forget about the splits that have you training legs one day a week and add more of these into your regular routine. In order to ensure optimal production of testosterone and growth hormone you have to hit as many of the biggest muscle groups in the body as possible, starting with the glutes, quads and hams. Not giving these bad boys enough work on a weekly basis is simply ignorant and irresponsible and is pretty much the reason behind your slow progress. Apart from performing more multi-joint exercises, you need to hit your muscles from all possible angles to ensure maximum growth. This training wisdom rings especially true when it comes to the legs because your quads, glutes and hams are all composed of three or four different muscles whose fibers run in different directions and therefore need to be adequately stimulated for the purpose of achieving voluminous, well-rounded muscles that seem to jump right off the bones instead of muscles that have more resemblance with flat tires. Doing different exercises from various angles will have a substantial effect on your overall muscular development and help you finely sculpt your body, so make sure that your strength training routine entails a variety of exercises which employ different angles. Most people perceive core training as synonymous with abdominal training, which actually is a terrible misconception that has misguided many fitness-oriented people. In reality, your core contains much more than your abs and in order to adequately target it, you will need more than endless sets of sit-ups. The core plays the crucial role of stabilizing and protecting the spine and limiting excessive movement during all compound movements and big lifts, which essentially means that it’s impossible to build strong, carved legs without including a good dose of core work into your routine as well. It’s not uncommon to see bodybuilders with weak core muscles and it’s very obvious that their lack of strength in those important stabilizing muscles ultimately reduces the effectiveness of their workouts. To help you put this knowledge about optimizing leg development into practice, we’ve designed a leg routine that efficiently hits all leg muscles in a unique way while working the core as well. Feel more than free to start performing it right away if your goal is to build bigger, stronger legs in the shortest time possible. How to perform it: While standing upright with your feet shoulder-width apart, take a relatively light dumbbell in the right hand, bend your knees and place the toes of the right foot on a box or bench behind you. Press the weight overhead so that your arm is directly over your shoulder. Keeping your right arm extended, lower into a lunge by bending your front knee and hips and descending towards the floor until your front knee forms a 90-degree angle. Your front knee should be directly over your foot all throughout the movement. Pause for a second, then press back up through your front heel and return to the starting position. Make sure to maintain a tight core and a neutral back foot all throughout the exercise. How to perform it: Grasp the handle of a kettlebell with both hands, palms facing toward you, and place your feet slightly wider than shoulder-width apart. Stand tall and let your arms hang straight down so that the kettlebell is hanging between your legs. Keeping your arms fully extended, lower into a squat by bending your knees and lowering the weight down, then explosively swing the kettlebell upwards by lifting your arms and extending your knees and hips. The swinging motion should be performed simultaneously with standing back up. At the top of the swing (when the weight passes shoulder level), let the kettlebell flip over in your hands and allow it to complete a full revolution before catching it in front of you in a full squat position. Finish the movement by driving back up to a standing position while pressing the kettleback overhead. For best results, avoid rounding your back all throughout the exercise and make sure to squeeze your glutes hard at the top of the movement. How to perform it: Begin by sitting in a leg extension machine and adjust the roller so it rests across the front of your ankles. Perform a one-leg extension with your right leg while simultaneously crunching and twisting your torso so that your left pec comes over your right knee. Return to the starting position by reversing the motion and repeat it on the opposite side by performing an extension with your left leg while simultaneously bringing your right pec over your left knee by crunching your torso in the opposite direction. That counts as one rep. After completing the prescribed number of reps, finish the set with double-leg extensions to failure. How to perform it: Set up for the smith machine front squat by setting the rack height to shoulder height and loading up the bar with adequate weight. Step up to the bar and while standing erect with your feet shoulder-width apart (toes should point out at around 30 degrees) and head up, un-rack the bar and have it bar rest across your front delts. Keeping your back neutral and chest out, slowly lower into a squat until your thighs become parallel to the floor. Push yourself back up through your heels and repeat until you complete 8-12 reps. Next, re-rack the bar for a back squat and perform 8-12 reps of Smith machine back squats by using the same stance but placing the back of your shoulders across the bar, then unlocking it and slowly lowering down into a squat. It’s of crucial importance that you keep a straight back (bringing your shoulder blades back and maintaining your core muscles tensed can help you with that) all throughout the movement. However, if you have back issues, perform leg presses instead of back squats. 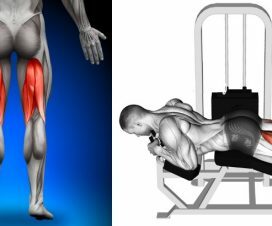 How to perform it: For a greater engagement of the hams, choose a leg-curl machine with an angled bench and adjust the machine lever to fit your height. Lie face down on the leg-curl machine with your legs extended and place the back of your legs against the pad but make sure that your knees are off the edge of the bench. As you exhale, contract your hams to bend your knees and pull your heels toward your glutes. At the top portion of the movement, contract your lower back muscles to achieve hyperextension. As you inhale, lower your torso to the pad and return to the starting position. Don’t forget that when it comes to the legs, sometimes less is more. Follow this routine on two given days per week to give your legs an optimal amount of work for massive growth.